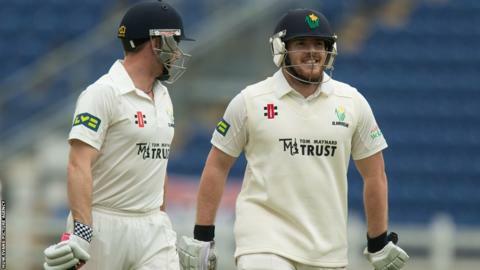 Mark Wallace and Will Bragg leave the field after Glamorgan declare their second innings against Cardiff MCCU in a game which ended in a draw because of rain. 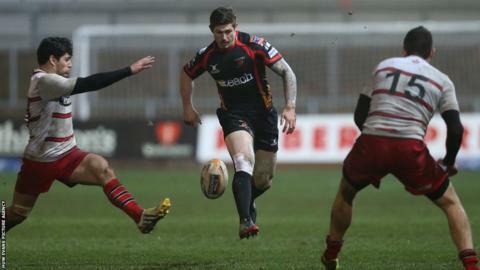 Newport Gwent Dragons scrum-half Richie Rees, in action against former club Edinburgh, is tackled by Tom Brown in the rearranged Pro12 match at Rodney Parade. 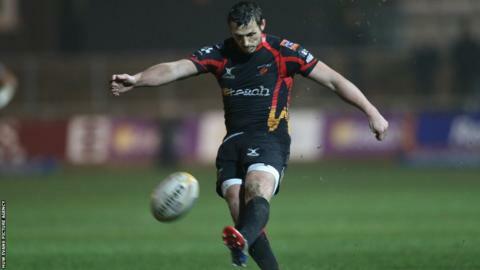 Dragons try scorer Ross Wardle kicks the ball during his side’s Pro12 defeat at home to Edinburgh. Jason Tovey converts Wardle’s try but Dragons suffered a 23-19 defeat at home to Edinburgh. 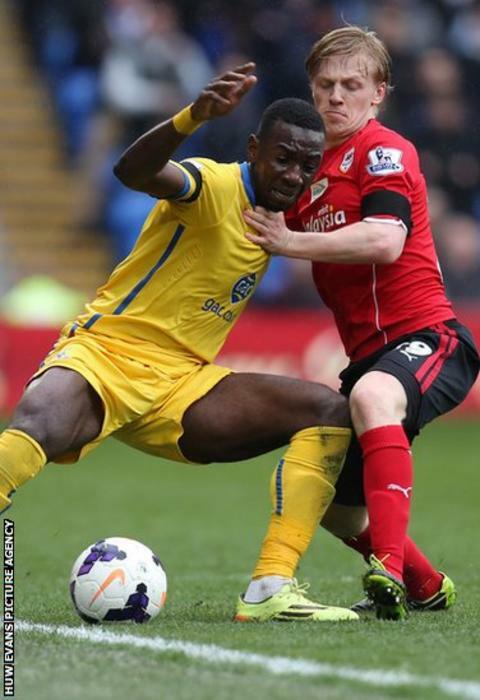 Cardiff City defender Kevin Theophile-Catherine battles for the ball with Crystal Palace's Yannick Bolasie during Saturday’s Premier League game at Cardiff City Stadium. Jason Puncheon is congratulated by former Cardiff City striker Cameron Jerome (right) after giving Crystal Palace the lead at Cardiff City Stadium. Cardiff-born Joe Ledley scores against his former club to give Palace a 2-0 lead before Puncheon scored a third to plunge the Bluebirds deeper into relegation trouble. 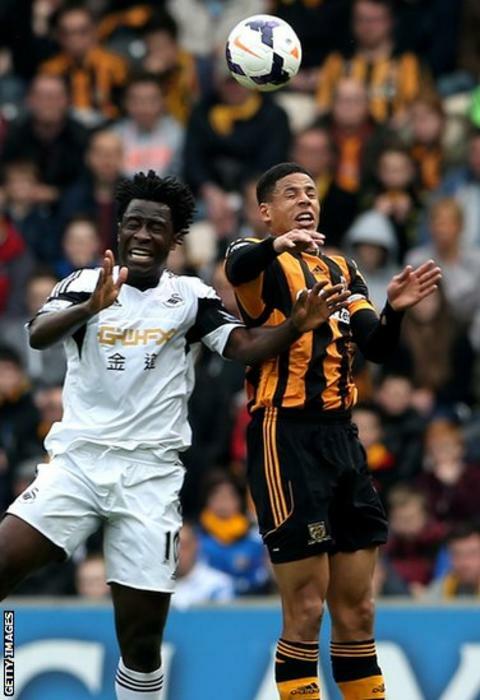 Swansea City striker Wilfried Bony competes for the high ball with Hull City defender Curtis Davies in Saturday’s Premier League game at the KC Stadium. Hull City keeper Steve Harper dives low to deny the advancing Swansea City midfielder Jonathan de Guzman. 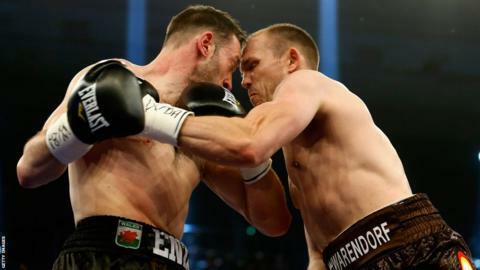 Hull City's Ahmed Elmohamady is tackled by Swansea City's Ben Davies in a match which the home side won 1-0. 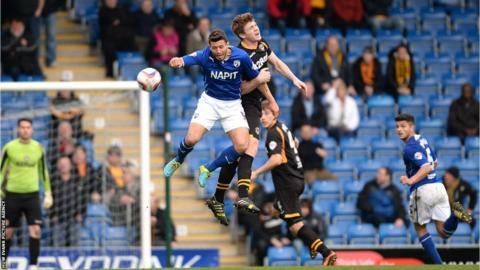 In League Two, Newport County’s Robbie Willmott tries to shield the ball away from Chesterfield midfielder Daniel Kearns. 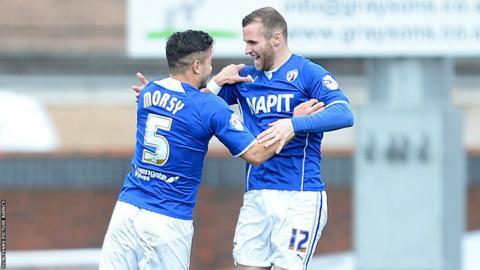 Jimmy Ryan celebrates with team-mate Sam Morsy after giving Chesterfield the lead against Newport County. But Max Porter scored with seven minutes remaining to secure a point for Newport at the Proact Stadium. 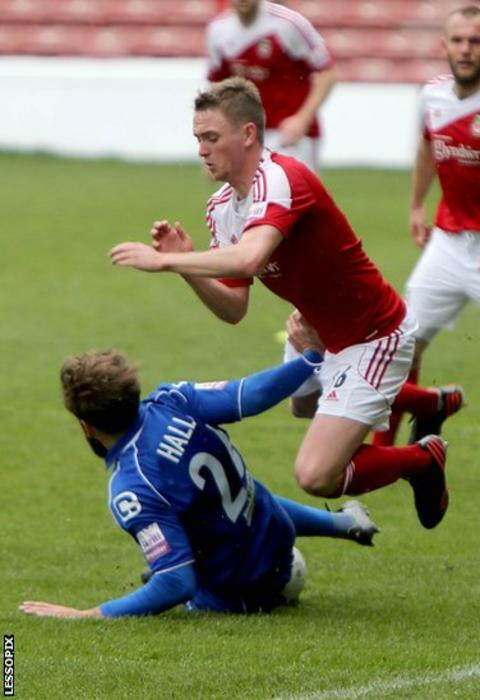 Wrexham goalscorer and man of the match Johnny Hunt is brought down by Macclesfield’s Andy Halls in the Conference Premier game at the Racecourse. 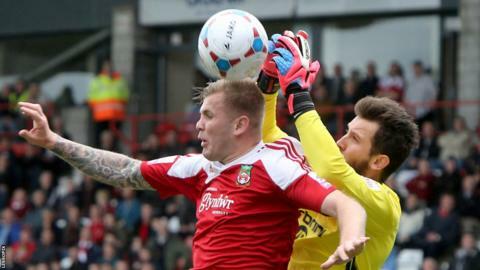 Wrexham striker Andy Bishop and Macclesfield's former Wales Under-21 keeper Rhys Taylor go up for a high ball. 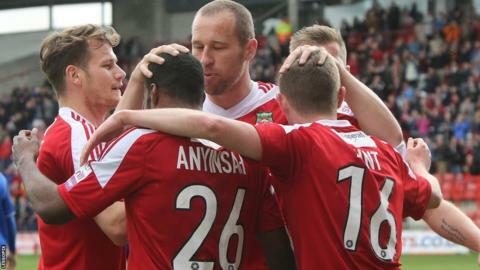 Wrexham players mob Johnny Hunt after his early goal against Macclesfield, which earned Kevin Wilkin his first win in charge. 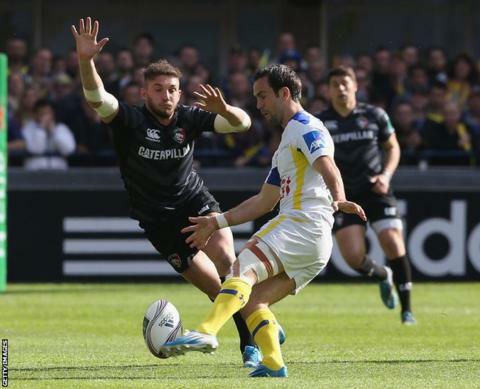 Clermont Auvergne’s Morgan Parra kicks the ball past Leicester’s Welsh fly-half Owen Williams during the Heineken Cup quarter final at Stade Marcel Michelin. 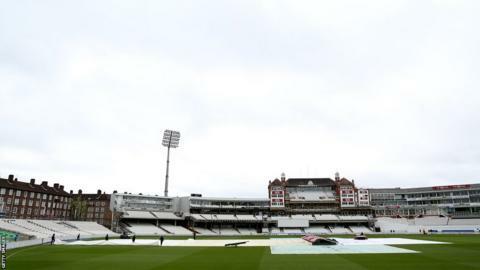 The covers are on at the Oval as the start of Glamorgan's opening County Championship game against Surrey is delayed. 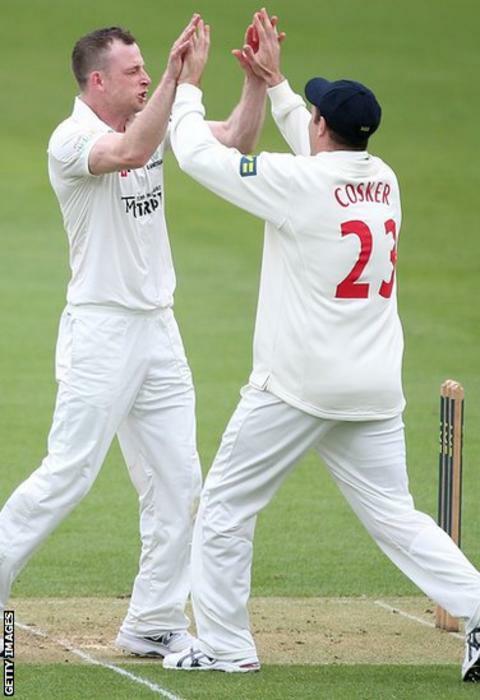 Graeme Wagg is congratulated by Dean Cosker after taking the wicket of Surrey's Graeme Smith during the first innings of Glamorgan’s opening County Championship game of the season. 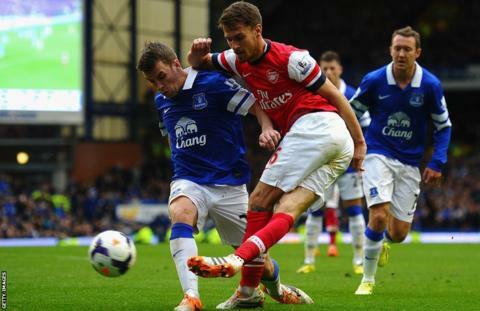 Wales midfielder Aaron Ramsey made his first appearance of the year after recovering from a thigh injury but Arsenal lost 3-0 at Everton. 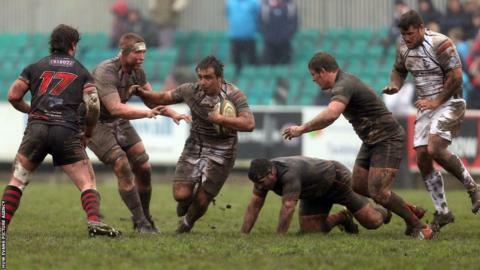 Try scorer Liam Belcher charges forward during Pontypridd’s dramatic 16-14 win away to Cornish Pirates in the British and Irish Cup quarter-finals. 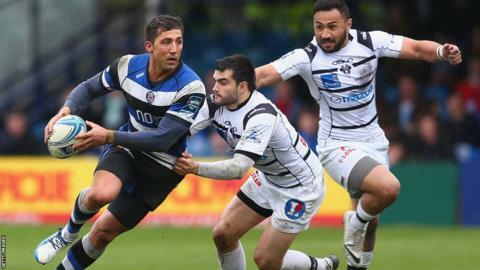 Gavin Henson was named man of the match as Bath beat Brive 39-7 in the Amlin Cup quarter-finals.